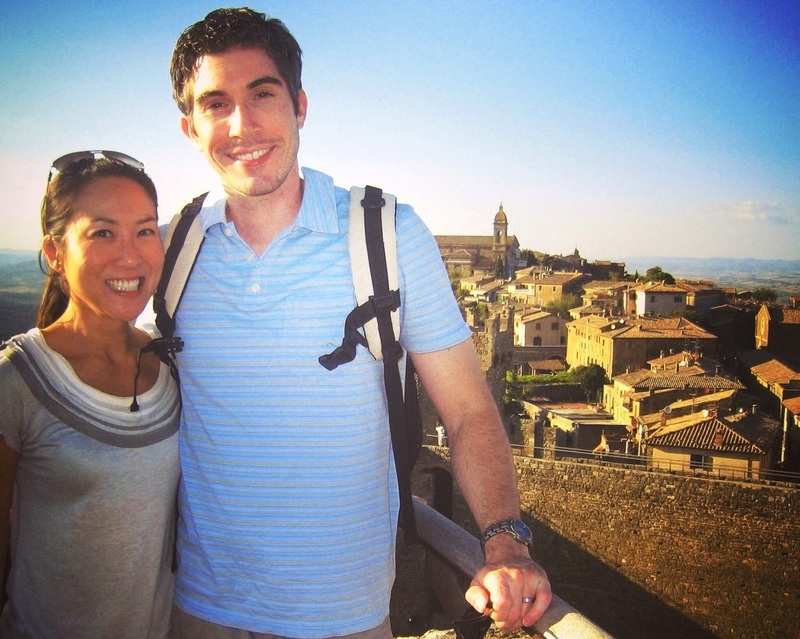 Our Italian honeymoon continued northbound from the Amalfi Coast to the region of Tuscany – home to not only Italy’s most famous wine country but also to the beloved cities of Florence, Siena and Pisa. Much of our 4 days here was spent driving along vineyards and stopping occasionally to try some of Italy’s finest! This region is best known for its bold reds – Chianti, Brunello di Montalcino, Vino Nobile di Montepulciano, and Morellino di Scansano – all of which are made from a Sangiovese base. >TIP: To really maximize your trip in this region, renting a car is highly advisable. While some of the towns may be accessible by public transportation, many of the villages are not. A highlight for me was admiring the landscapes along the way and discovering the tiny towns that weren’t even on our itinerary. 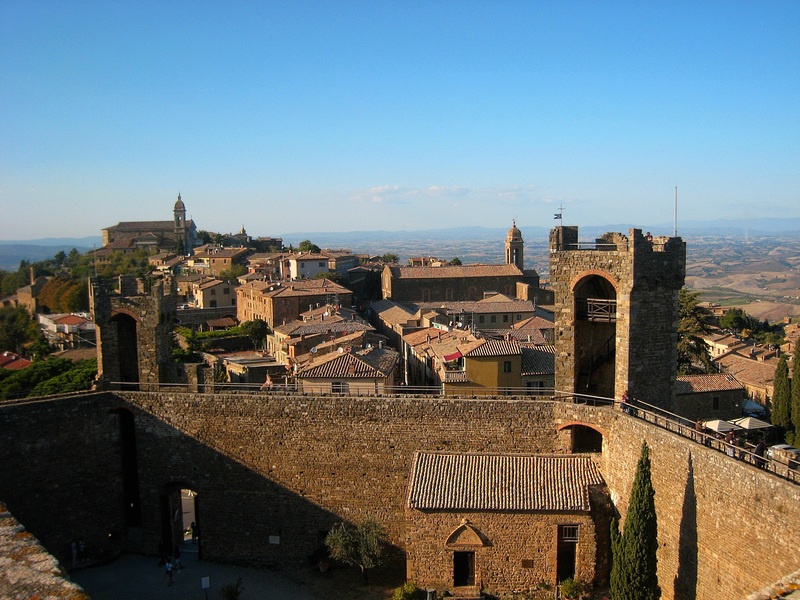 Montalcino and Montepulciano are both picturesque hillside towns, known for their respective wines of the same name. Stop and admire the world-renown vineyards and have a taste at the Enoteche (wine bars). We got lucky getting to taste some great wines without booking ahead but it’s always better to make appointments so you can get the adequate time and information that will make it worth your visit. In Montalcino, visit Enoteca la Fortezza (pictured below) to see the fortress and taste the Brunello di Montalcino – a dark bold red that is arguably Italy’s finest wine. It’s made of 100% Sangiovese and must be aged for a minimum of 4 years before released for sale (and with 2 of those years in oak). 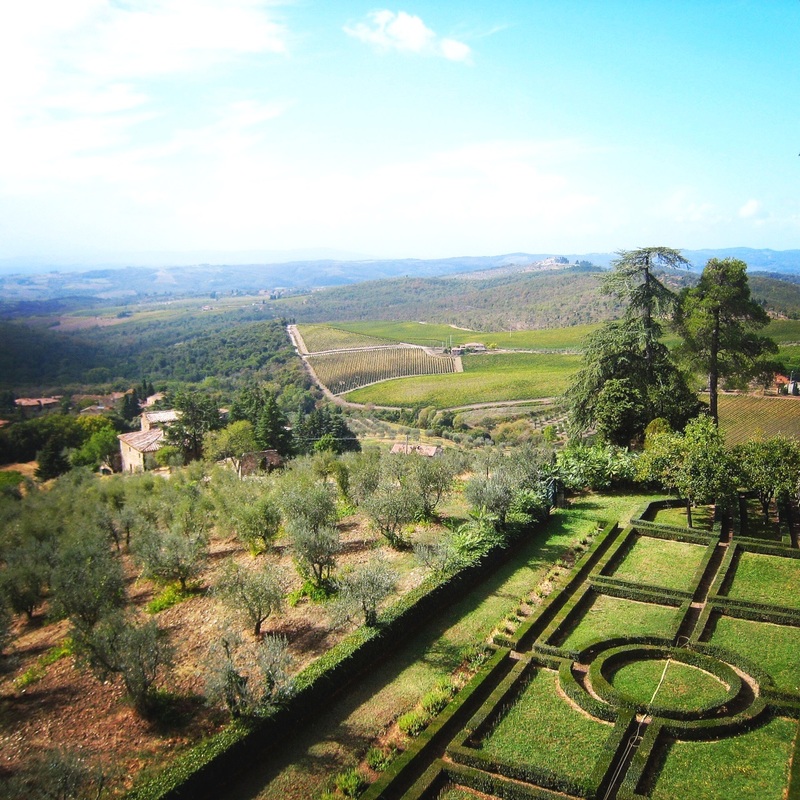 For help booking appointments, you can also contact the Montalcino tourism office. After visiting Montalcino, follow the road signs to Romanesque Abbey of Sant’Antimo and check out the beautiful 12th century abbey. 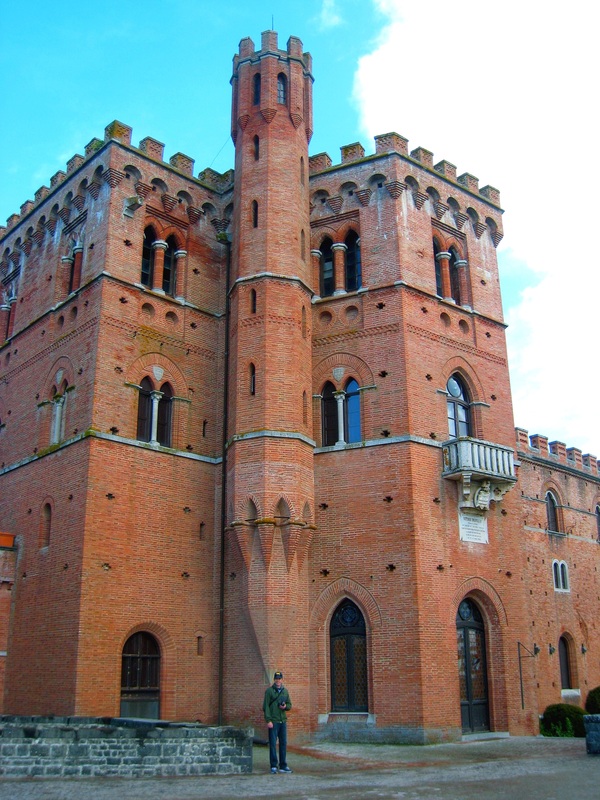 In the Tuscan medieval town of Montepulciano, have a taste of its wines – the Vino Nobile di Montepulciano and the Rosso di Montepulciano. 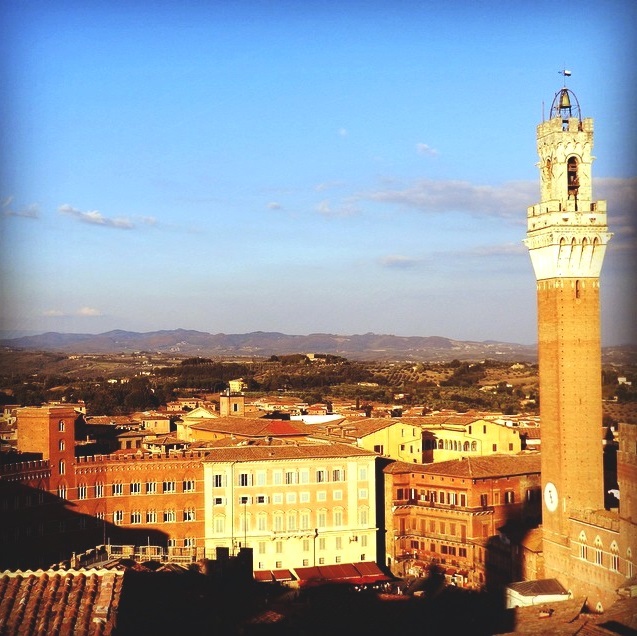 Visit Piazza Grande (situated at the highest point of the town), the Castle of Montepulciano, the San Biagio Church and the Church of Sant’Agostino. 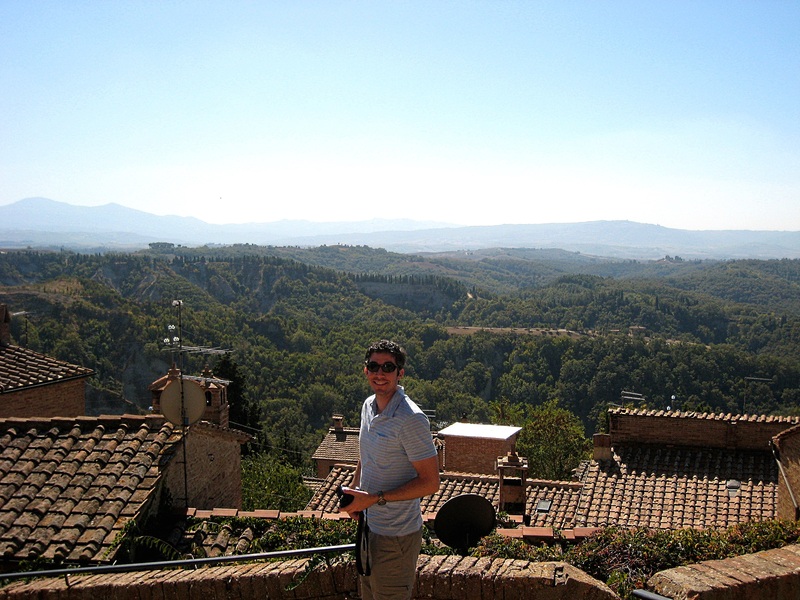 >TIP: The town of Montepulciano is car-free, so you’ll have to park on the outskirts of the town and explore by foot. Luckily, the main street of the town is only slightly longer than a mile so you won’t have to roam too far! For the renown Chianti region and its wines, visit Castello di Brolio (the Enoteca del Barone Ricasolin in Gaiole), Fattoria Viticcio in Greve and the hilltop town of Castellina in Chianti. Not only are the wines divine here but you must also try the olives. Drive along the beautiful hills of vineyards and olive groves – you can even taste the olive oils at some of the wineries before you make a purchase. There are so many wineries, there’s not enough time to try them all! 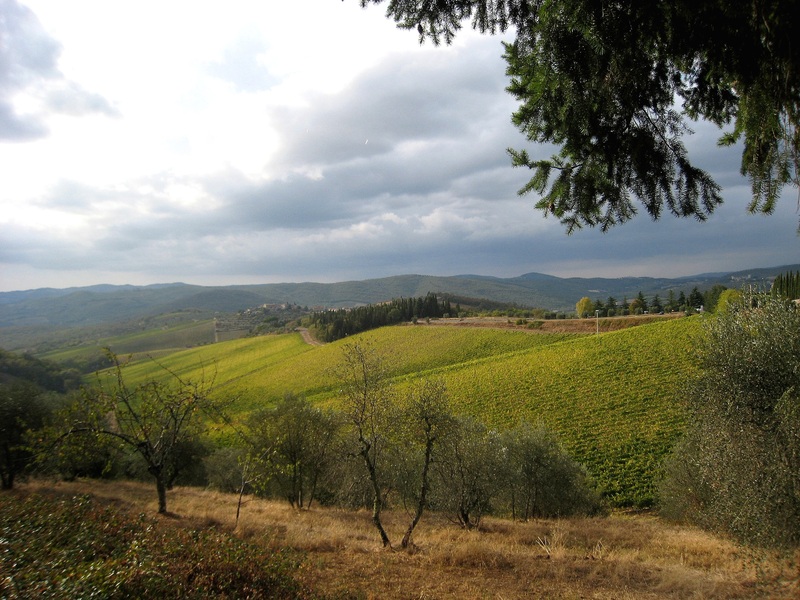 For more information on Tuscan wines and all its varieties, check out the Wine Searcher. 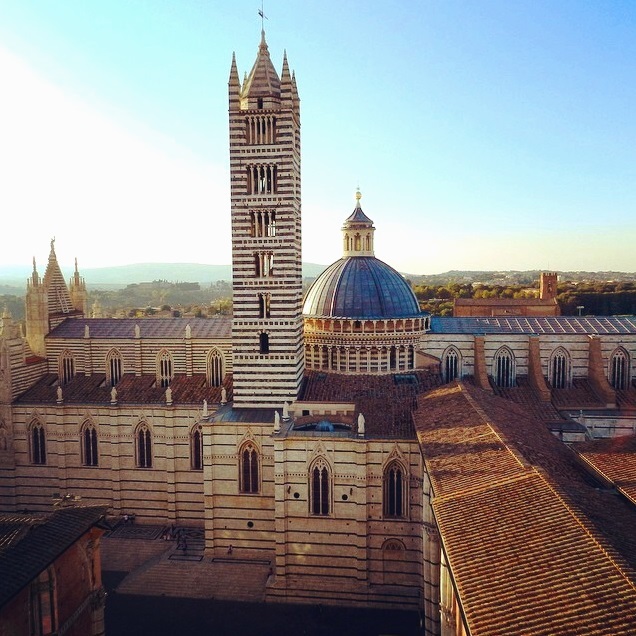 This historic town in Tuscany is a UNESCO Heritage Site and one of Italy’s most visited and loveliest medieval cities. The heart of the city, Il Campo or Campo Square, is dominated by the Palazzo Pubblico and it’s tower, the Torre del Mangia (pictured below) which were built in the 13th-14th centuries. 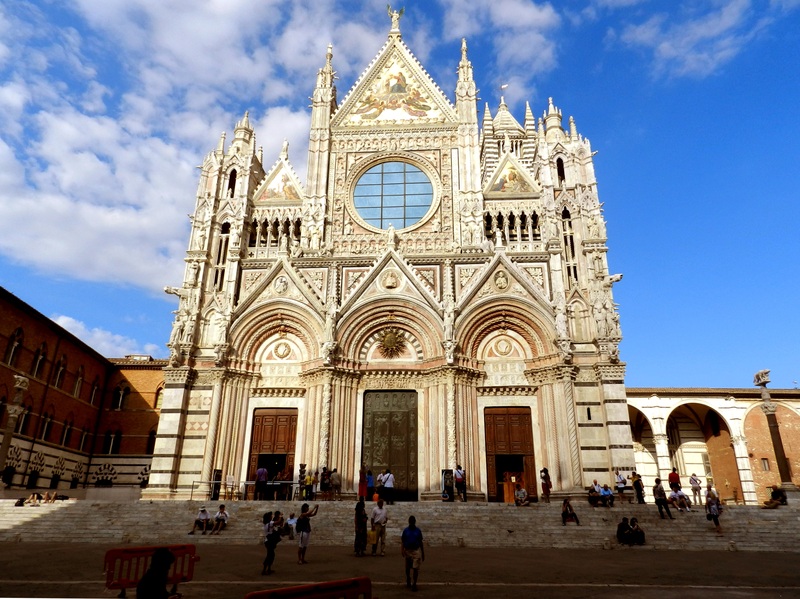 The Duomo di Siena or the Siena Cathedral is one of my favorite medieval churches in Europe. Built in the 13th century in the form of a Latin cross and constructed with alternating lines of black and white marble, the effect is striking both inside and out. Should you have time to visit the inside of the Duomo, you’ll find treasures by master artists like Pisano, Donatello, Michelangelo and Pinturicchio. 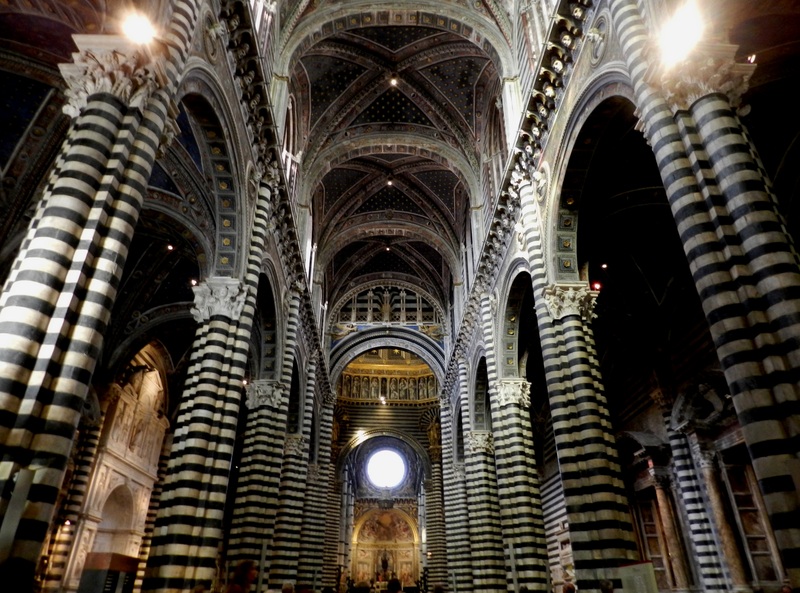 Inside the Siena Cathedral, where the black and white marble theme continues – you’ll also find treasures by master artists like Pisano, Donatello, Michelangelo and Pinturicchio. 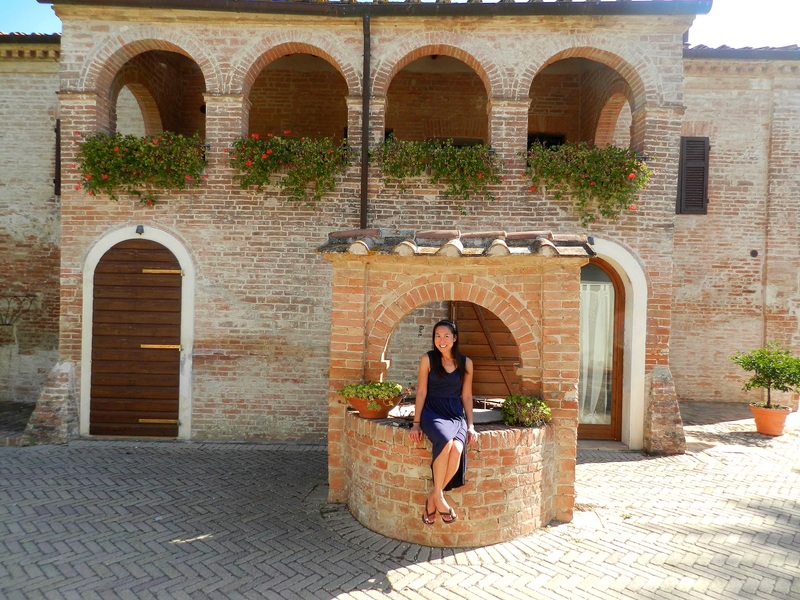 We stayed at the lovely and highly recommended B&B or Agriturismo, Il Canto del Sole, just 20 minutes outside Siena. Laura and Luciano were amazing hosts and we felt like home at this gorgeous 18th century farmhouse, which even included farm animals on the property. A few times a week, if you’re so lucky, you can partake in a grand homemade meal for a surcharge. The food is delicious and you will not go away hungry! A perfect home away from home and Tuscan gem. 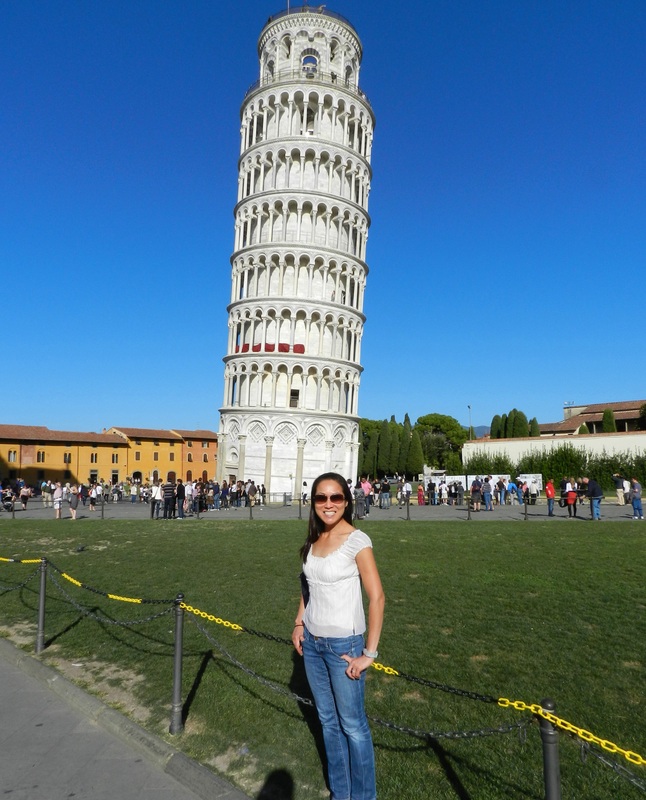 We spent only a day in Pisa seeing the top sights at the UNESCO Heritage Site of the Piazza dei Miracoli: the Leaning Tower, the Duomo, the Baptistery and the Monumental Cemetery. Yes, the Leaning Tower leans and it’s a cool site to see…though to be honest, it was a bit disappointing after the quaint and charming Siena. There is a nice view of Pisa from the top, though not a must-do imho. Note that only 40 people are allowed to the top at a time and children under 8 are not allowed. Visits last only 30 minutes but it’s more than enough time. 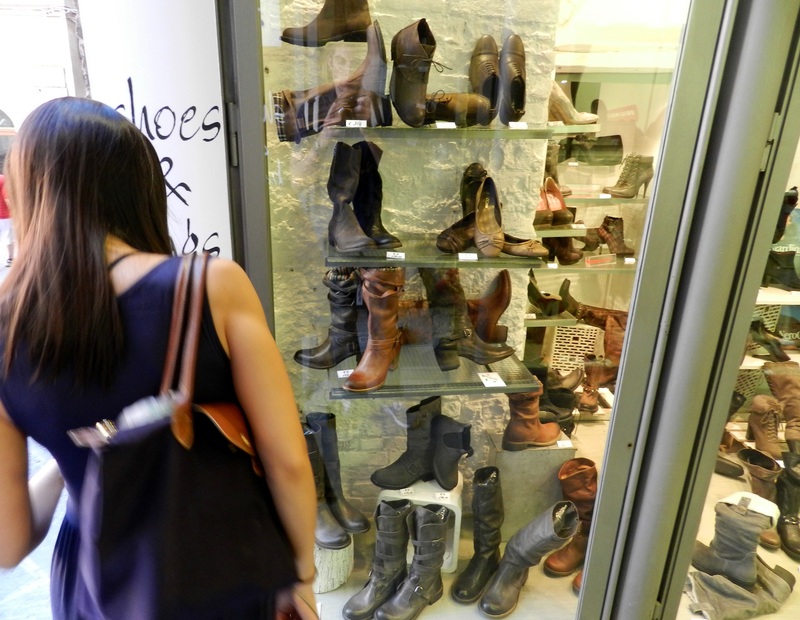 You can always book ahead to make sure you get a time slot to visit. Now you know a bit about the wines to try, here are some foods you must have while in Tuscany! 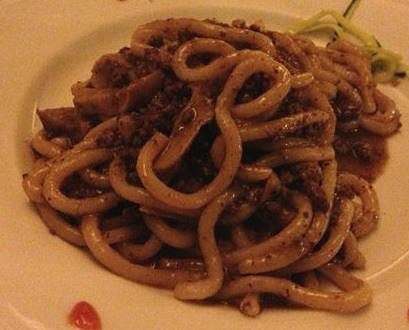 Cinghiale – Local wild boar, often prepared with pasta – Papardelle is a popular choice for pasta in this region. Cinghiale is also served as an antipasti or as a secondi. Panzanella – Bread salad that is made with day-old bread, tomatoes, red onions and basil. This dish is tossed with olive oil and vinegar, as you would with a traditional salad. Tartufo – Truffles! 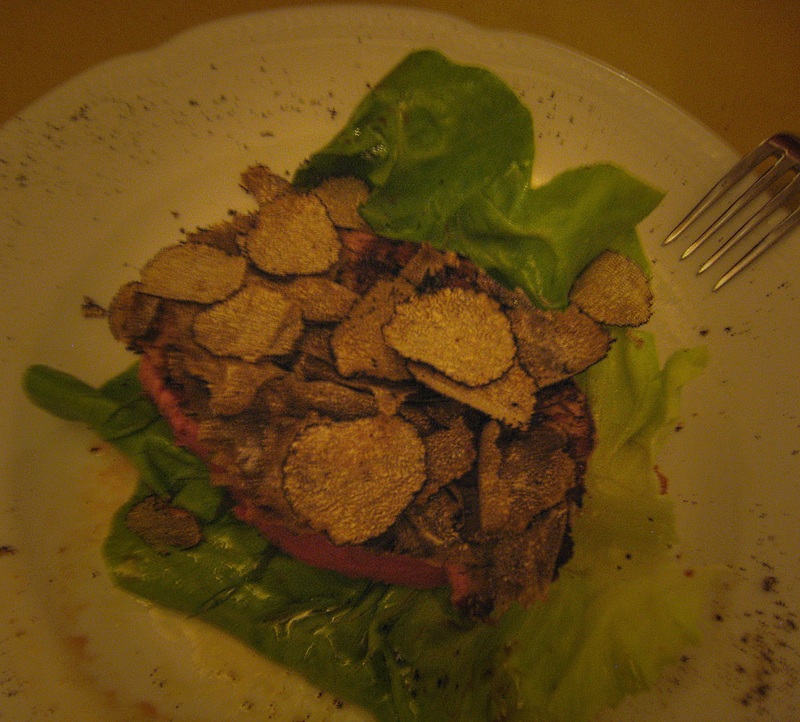 Tuscany is well known for truffles, black truffles from October to March; and white truffles from October to December. Most restaurants will pair their dishes accordingly if you go during season. Porcini – Anything with this mushroom!